See how 75,000 shells become the nation’s largest Fourth of July display. Gary Souza learned how to play with fire when he was 12. His father, who ran the family’s California-based fireworks business, would drive out to the countryside to test new shells, taking young Gary along and occasionally allowing him to blow things up, too. Mr. Souza will be shooting off a lot bigger fireworks on Wednesday. For the 36th year, his company is supplying the pyrotechnics for the Macy’s Fourth of July show, the largest Independence Day display in the nation. Wednesday’s show, the largest in Macy’s 42-year run, will span a mile of the East River from 23rd to 42nd Streets. It will feature 75,000 shells shot from seven barges and soaring up to 1,000 feet. It will have 25 new special effects. And it will all be over in 25 minutes. The greatest challenge of holding a fireworks show on the same holiday year after year is adding a new spin. “You’ve got to search the world and find different shapes in the same colors or different patterns in the same colors, so it doesn’t always look the same,” Mr. Souza said. This explosion of color that will appear during Ms. Clarkson’s “God Bless America” hails from Spain, known for brilliant red, yellow and green fireworks. “Each nation has its own style and presentation,” Mr. Souza explained. 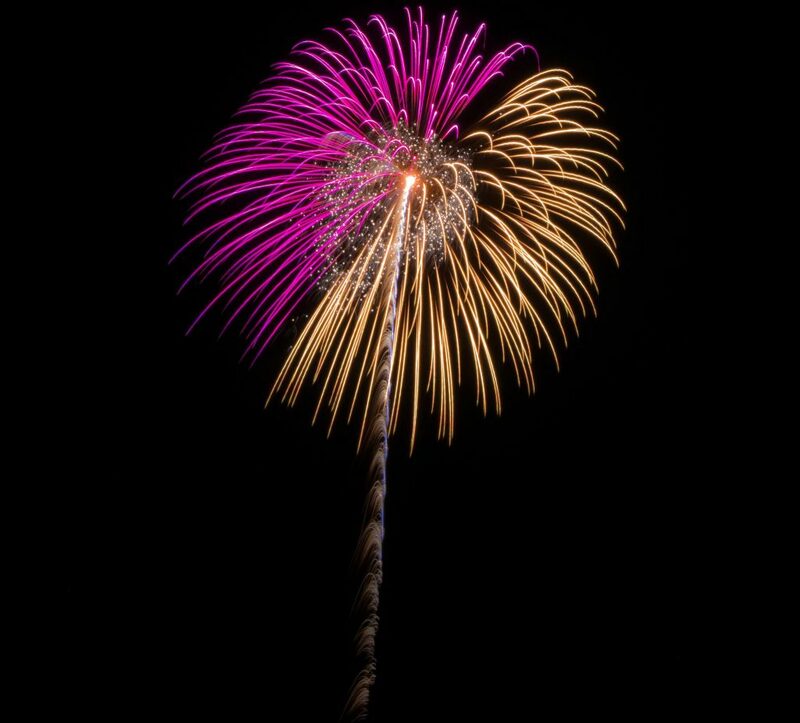 Japanese fireworks are known for stringent geometric shapes, he said, while American fireworks tend to be more asymmetrical, as “if you were to have spilled the fireworks out of a bucket. During “Yankee Doodle,” orange, cyan, lemon and magenta-colored shells will reach the peak height of the scene. Just below these, the lemon and magenta fan-like fireworks will appear. The lower layer will complement the layer above. Mr. Souza creates the tier effect by shooting off different-sized shells from each barge. 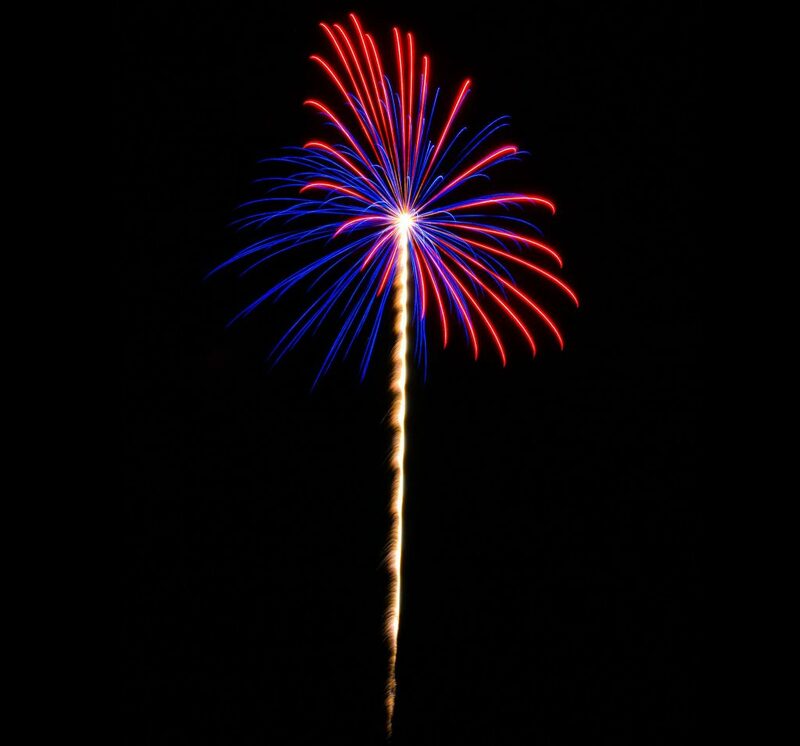 A rule of thumb for fireworks is that a three-inch shell will climb 300 feet, a four-inch shell will go 400 feet, and so on. Mr. Souza calls this an “action shell.” It pairs best with quicker songs. “That’s the movement you get with those little bees or the serpents,” he said. Like all of the show’s fireworks, “action shells” launch through an electronic system. A central computer communicates with computers the barges that send precisely timed signals to each firework via wires. Each signal ignites a built-in match, which meets a lifting charge that launches the firework. Fifty-five pyrotechnicians will sit in steel containers on the seven barges, monitoring the fireworks’ synchronization to the music and ensuring safety. They can manually stop launches in an emergency. 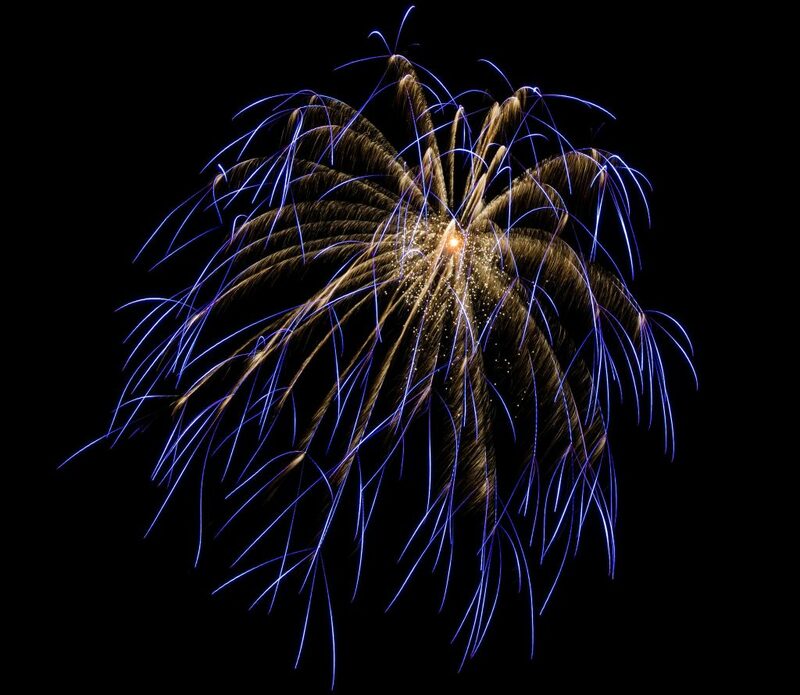 The chemical compounds in fireworks give them their color: Strontium nitrate makes red; barium chloride makes green; copper chloride makes blue; a carbon-iron mixture makes gold. To coordinate the fireworks with the music, a team tests the shells in the desert, tracking the time between the computer launch signal and the burst. Macy’s honors the five branches of the United States military with sequences that light up in the colors of each one, choreographed to an armed forces medley. 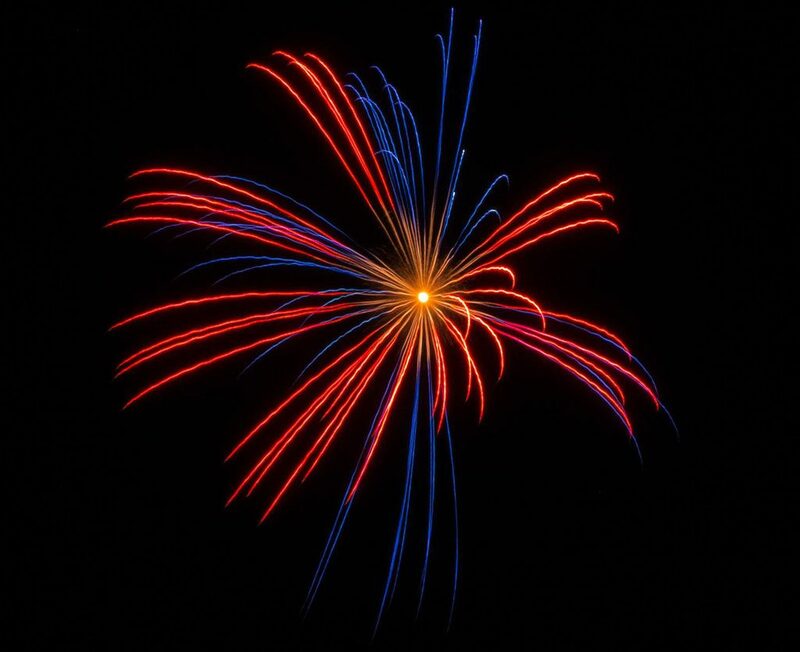 This firework salutes the Coast Guard with its colors: red and blue. Shown here are PowerPoint slides that Mr. Souza uses to plan the show. Each slide shows the song and some of the accompanying fireworks. Like other intricate shapes, the happy faces smiley face involves some technical trickery. The face develops shortly after launch, from a base powder that burns black so it is invisible to viewers. Once that powder burns through, a second, color-producing powder ignites, giving the appearance of a face magically materializing high in the air. Mr. Souza and Mr. Whatley will end the show using three big sequences, with the grand finale painting the sky with 17,000 effects that weigh a combined 15,000 pounds. 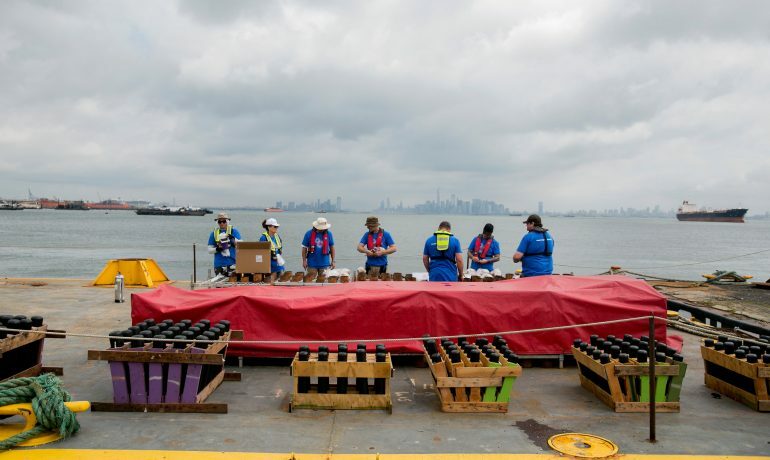 Last Thursday, Mr. Souza’s team loaded the 75,000 firework shells, some weighing 50 pounds, onto the barges. 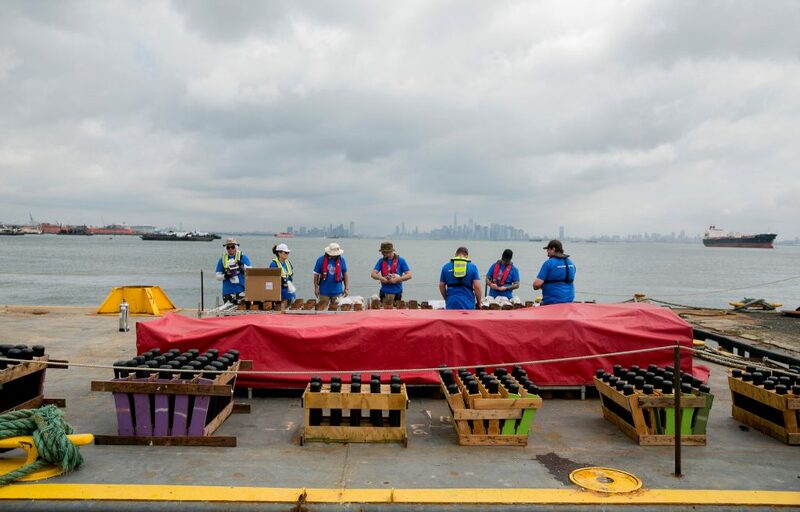 For safety reasons, the team placed the most powerful firework shells — 10 inches in diameter — farthest from the steel containers where pyrotechnicians will work. When the barges are moved into their assigned positions in the East River on Wednesday, the fireworks will be ready for launch. Images and videos courtesy of Macy’s. Photograph by Sam Hodgson for The New York Times. Produced by Alicia DeSantis, Grant Gold and Eden Weingart.